We build online success stories. If you’re passionate about a product or service and are looking for the right platform to help you build an online business, you have found it! Complete Cloud helps you build more than an online store. We help you build your online business. Online sales are booming worldwide. Is your business benefiting? Australian ecommerce transactions hit close to $40billion by the end of 2013, up from $30billion in 2011. Can your business afford not to be part of this massive continued growth? The online world is your oyster. Whether you are looking to create a small ecommerce store or a virtual shopping mall, it’s all easy with our ecommerce software. We provide you with a fully ready online storefront where you can add unlimited products and exercise complete control over inventory management. Our ecommerce solutions are SEO ready with all the features you need to get your products ranking high on search engines and attract more shoppers to your online store. It is important that your ecommerce site is right up there when customers search for related products and our ecommerce developers strive at achieving that with a search friendly shopping cart for your business. The world is going mobile and your ecommerce development needs to keep pace with it. Help your customers seamlessly view and purchase products with a mobile optimised version of your online store. Instead of making shoppers fumble through your site with their thumbs, you can now reach customers on the go with ecommerce solutions that are fully compatible with any mobile device. Don’t wait for business to come to you, generate sales through extensive features including discount coupons, gift certificates or promotions based on any criteria you set. Our ecommerce solutions also provide you with features as banner management and gift registries. With our ecommerce solutions, you can easily stock your online store with products in any configuration. Merchandise your stock to increase sales and track inventory to ensure you never run out of your most popular products. Create products individually or load your entire inventory instantaneously with our easy import/export features designed to get you up and running in a breeze. Do your products come in different styles, sizes, colours or dimensions? Create unlimited product options helping customers pick the product that is right for them. Just like a traditional store, merchandising an online store will help you increase sales. Design and rearrange your isles (categories), shelves (groupings) and product pages with ease without having to re-create products. Stock levels are automatically updated with each sale and can be monitored through easy reporting or alerts sent to your inbox when you’re running low. Never run out of popular stock again. Our ecommerce developers will create an online store that not only showcases your products but also make it easy for your customers to buy from you through easy checkout and flexible payment options. You can easily make changes to your ecommerce website according to your changing business needs anytime. We take the stress out of setting up your store. Our team will create a store design suited for your products and your business to get you up and running in no time. Businesses constantly change. Our online store comes with an easy content editor to allow you to change content on your website as your business changes. You are in complete control. This simple check out process makes it easier for shoppers to buy from your store and is proven to reduce cart abandonment and increase sales. Customers can also view their cart content and their checkout steps without leaving the page. Take customer payment from over 50 payment providers including PayPal, Eway, SecurePay, Google Checkout and many more. Create custom shipping based on product weight, quantity, prices or location or create real time shipping integrated with leading shipping carries including Australia Post, FedEx, DHL and many more. At Complete Cloud, we go beyond just building an online store. 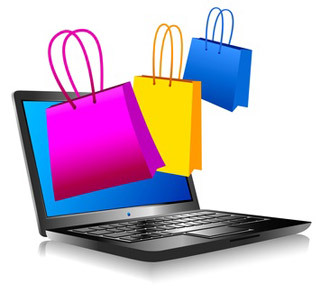 Rather we assist you in building a successful online business with our effective ecommerce development solutions. Talk to our experts anytime for any assistance you need with marketing your ecommerce site or tracking client behaviour to improve your results. We can guide you through the marketing maze and help you pick the right channels for your business to bring you success. Our customers benefit from our experience with Email Marketing, PPC and SEO . Advanced data and graphical reports allow you to monitor and track your sales over time and learn about your clients’ behaviours to help you make the right choices to lead to more sales. Reports include sales data, audience behaviour, page and product views and many more. Real time tracking and live feeds help you understand how your website is performing during marketing campaigns. Be responsive to customers by changing your actions based on site activity. Create your own customised reports or integrate with Google analytics to understand shoppers purchasing behaviour. You’re never on your own! Our team members have experience in creating ecommerce success for many customers and are available via phone, email or chat for no additional charge. We support you every step of the way.